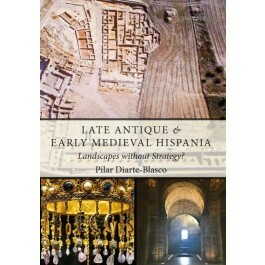 Late Antique and Early Medieval Hispania. Landscapes without Strategy? examines the transformations of the urban and rural landscapes of the Iberian Peninsula, across one of the most turbulent periods of the history of this region, between the decay and disappearance of the Roman Empire and the arrival of the Islamic troops (c. AD 400-711). It analyses landscape changes in a global perspective, combining both rural and urban contexts, discarding orthodox and reductionists points of view, where both aspects are analysed independently and as isolated compartments. Core to this period of change is the arrival in Hispania of heterogenic groups of barbarians, their settlement in the Peninsula and their co-existence with the local Romanised populations. Until fairly recently, any study of the impact of these new groups in towns and country was impossible, because information was very limited. The level of research on this period has grown significantly in the last decade, considering not just Visigothic archaeology and history, but also those of other gentes (Suevi, Vandals and Byzantines), and the Hispano-Roman substrate; and this archaeology is no longer centred on burials (as was the case in the 20th century) but, vitally, also considers landscapes and settlements. The volume examines not only the visibility and tangibility of these changes in the landscape and the nature of the related archaeology, but also what types of new authority were created by these powers and these are evident through changing patterns of social organization in the landscape. Questions addressed include: was this a heavily militarised landscape and one with clear differences between the older, Roman settlement forms? Was there a visible strategy in this new organization? Did powers like the Visigoths really control the landscape or was this more fragmented? Exploring these diverse aspects is fundamental for assessing cultural, physical and settlement adaptations and impositions across late antique and early medieval Hispania. 1. The Iberian Peninsula: a land of multiple landscapes? Part II. Landscapes without strategy? "...this book is yet another brilliant addition to the medieval collection of Oxbow books. Beautifully written and thoroughly researched, it offers a valuable synthesis of the ongoing debates about economic, social and political issues occurring in the Iberian Peninsula in the late classical to early medieval centuries."